If you aren’t using cryptographically-strong passwords by now, you’re late. Trusting LastPass is not for everyone. 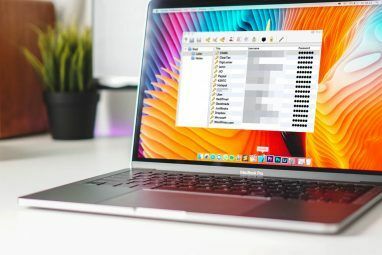 No matter how much security software The Top 3 Security Apps To Protect Your Mac The Top 3 Security Apps To Protect Your Mac Read More you have installed, a secure password is always going to be the foundation of basic online security and you’ve got to get used to it. A few years ago, I went through a phase where I spent several hours in a single day revising all of my passwords and changing them on every site that I regularly use. Today, not a single one of my important accounts on the Internet have a password under 16 characters. 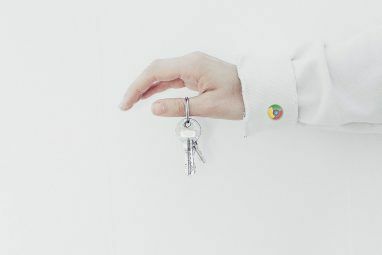 Length isn’t the only strength of a solid password, and I’d like to show you a tool that will make sure you’re able to generate a secure one. It’s my opinion that PWGen is the best password-generation tool out there not only because of the methodology, but it provides us with freedom. A lot of password generators 5 Free Password Generators For Nearly Unhackable Passwords 5 Free Password Generators For Nearly Unhackable Passwords Read More are a point-and-click tool that generate a randomized string of characters and numbers. Maybe it’ll let you pick how long the password is, but that’s it. Passwords are more than that to you and I. On the face of the application, you’re immediately able to see how specific the generation can get. You can generate both passwords and passphrases. With passwords, you’re able to set a length and determine the set of characters that can be used. This will allow you to create passwords of just one casing (upper or lower) or a password without numbers in it, for example. To the right of the field, you are able to see two icons which, from left to right, allow you to see the details of your current character set or access a small help menu. Passphrases are totally different and are definitely a more uncommon form of security. Generating a passphrase is as simple as loading a word list and clicking a button. You can find word lists all over the Internet, and these are basically just text files with newlines between each word in a list (hence the name). You’re also able to generate a large list of passwords at a single time for display or to immediately save to a text file. 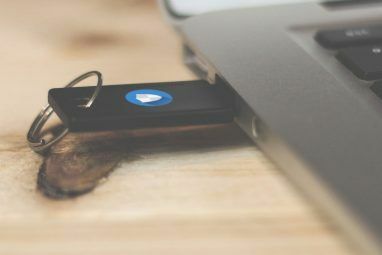 The application’s advanced options really allow you to refine the password generator methods so that everything is exactly the way you want it. Being able to immediately exclude ambiguous characters is the type of extensiveness that a lot of simple generators would leave out. If the included ambiguous characters aren’t enough, you’re able to redefine the entire set. Another option that stands out is the ability to prevent words in a passphrase from being separated by a space. This will essentially allow you to create passwords that are actually just a phrase strung together. Perhaps not the most secure option, but an interesting one nonetheless. The last feature I want to highlight, and maybe one of the most interesting and unique, is the ability to create profiles for individual configurations. How this can be useful is as limited to what your purposes may be. However, let’s say you wanted to consistently generate passwords or passphrases for one specific website that does not allow special characters and symbols to be included in the password. Knowing that, you can configure each field and option in the application, bring up the profile editor, and save this profile so that you can load it later. That way, you can easily play with PWGen without having to constantly redo old configurations over again. PWGen takes password generation seriously and really picks up where other password generator alternatives may fall short. For some, PWGen may seem a little intimidating and too deep, but it’s incredibly easy to use and puts you in complete control of its options. What do you guys think of PWGen and its features? Let me know in the comments! What's wrong with KeePass to name at least one that you've deliberately missed it?! Indeed it looks very interesting! I have never used pswd genator because I am sure I will forget that kind of password that doesn't give any sens for me! I've got to agree - KeePass is really handy for tracking all these bizarre passwords. You only have to remember one bizarre password. Plus, you can have multiple databases of passwords. As well as have that database hosted on something like GDrive, then it's accessible to you from anywhere and always up to date. I like the way PWGen can also generate pass phrases. The inclusion of special characters really bumps up the security factor. All passwords can be broken, we're just trying not to put low hanging fruit out there. That's why I like Keepass, you can create hard to hack passwords and manage them in a simple program. The app is just fantastic and too useful..! But would definitely like to know where and how to save those passwords..! As it's very difficult to remember such passwords..!! That's why I use KeePass to store (and generate) passwords for most of my logins. Huge random passwords don't do any good if you can't remember them, and KeePass does a great job of securing and remembering all my important passwords. "KeePass does a great job of securing and remembering all my important passwords." But how do you secure and remember your KeePass password? Easy...I don't write it down anywhere, I won't tell anyone what it is, I've memorized it, and it's a hard-to-guess password...and it's the *only* password I absolutely must remember. "Through 20 years of effort, we've successfully trained everyone to use passwords that are hard for humans to remember, but easy for computers guess." "I’m still pretty much screwed if my LastPass account is hacked. " Or if you forget it. And that, IMO, is the weak point of password managers. At some point one has to either have a easily remembered/easily broken password, or write down an uncrackable password.
" At some point one has to either have a easily remembered/easily broken password, or write down an uncrackable password." Not true at all. My LastPass master password is 16 characters long -- with alpha, numeric and special characters. You only have to think up some phrase (preferably nonsensical but whimsical) -- play around with it -- and have yourself a great combo password that no one will be able to guess. But what if it's LastPass that get's hacked and all their ID's and passwords fall into the hands of xxxx? Well, the info will be encrypted, hash and salted. xxxx will try to crack them -- and get all the easy ones like "password1" -- and call it good -- long before they get to your 16 or 24 digit behemoth password. Too complicating for me to remember, sorry! 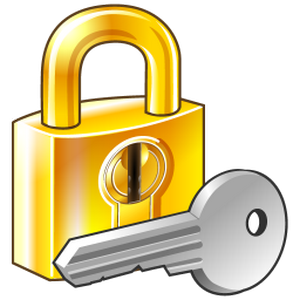 Keepass is another great tool, and my personal favourite. Like PWGen, you can create random password strings and define your own criteria including the length of the string and which types of characters to include - i.e. whether to use non-alphanumeric characters, etc. One option that I find useful is under the "Advanced" tab: "exclude look-alike characters". In other words, don't use a zero and a letter O together in the same string - or any other characters that would easily be confused for each other. All such tools are helpful only when one is using a password manager. Otherwise it's impossible to remember such complex passwords. This is a very well designed password program.Thanks.